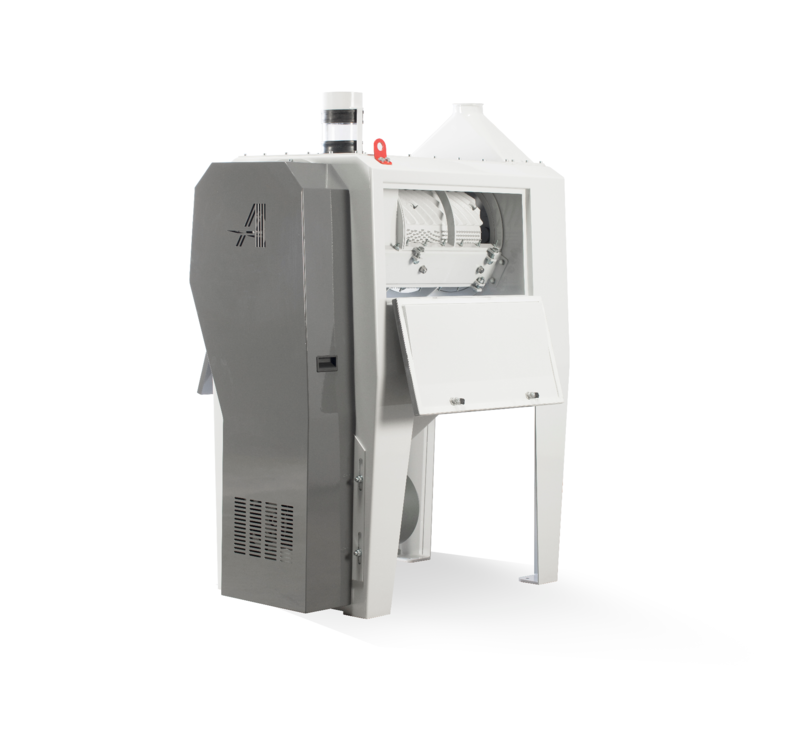 It is a mechanical machine used for removing the outer crust and also the dust, sand, microorganisms and pests from the grains in the cereal cleaning process. On the rotor of the scourer, there are wear resistant, hard cast palettes that have a larger surface in comparison to other scourers, whose surface is suitable for rubbing and whose edges have a spiral structure. While part of these palettes are on the rotating rotor, others are mounted on the body. Sifters used in this machine are mounted between the palettes on the body. 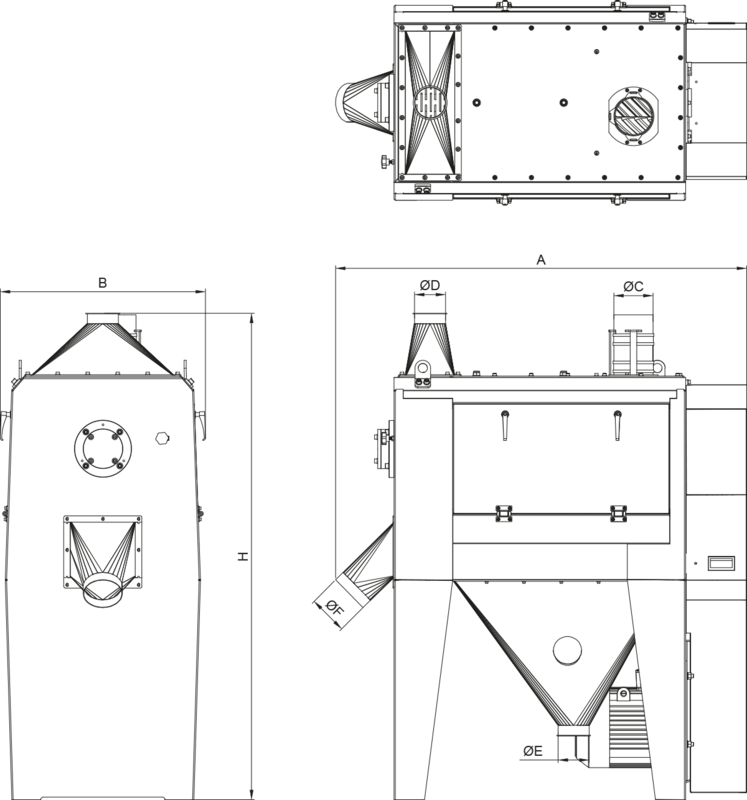 While the cereal grains that pour into the high speed rotor spin 360 degrees due to the special design of the palettes, effciency is increased by the products rubbing both between the fixed and mobile palettes and also on the inner surface of the sifter, thus wearing out their crusts. This way, the crust of the product is scoured and discharged out from the pores of the sifter, and, due to the spiral structure of the rotor’s palettes, the scoured product is conveyed via the exit to the second machine, which is the tarar inlet bunker. 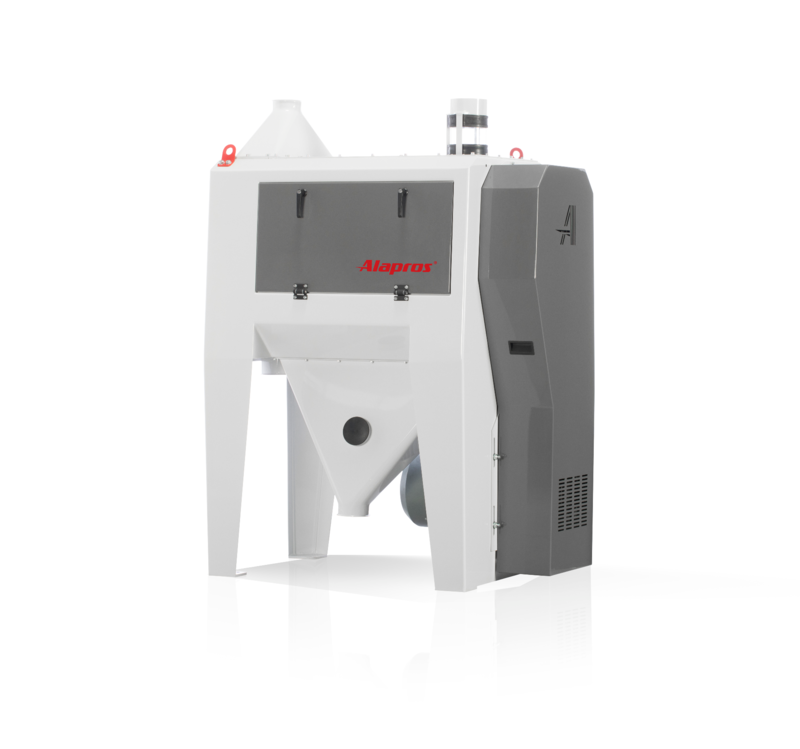 During this process, all the unwanted objects on the grains and also the small seeds within the grains are wiped out. Longer lasting palettes in comparison to competition.